Pat Danis has generously offered to open his home in Flower Mound, Texas. Everyone is welcome, even if you haven't played with us before. 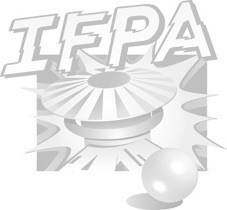 Standard IFPA fees apply. Louis, the Tournament Director, will NOT turn anyone away due to cost. If you can not/will not pay, he will cover you - come be a part of the pinball community! Doors open at Noon - tourney starts at 12:30 PM. Late entrants are welcomed until sometime around 3 PM. Hard stop at 7 PM so Playoffs will start no later than 5:30 PM. While we usually max out TGP easily, this one may be "close". FOOD: There will be some snacks provided in the way of chips, fruit and cheese plates, maybe some sandwiches from Jersey Mikes, sodas, water. Alcohol is ok but you must bring your own. "Please no food or drink on machines. I have two new kittens and if people are allergic to cats they need to be ready for that."